Those who live the outdoor life consider knot-tying an essential skill—and with very good reason. Learning how to tie a rope knot can help you secure equipment, scale vertical surfaces and keep you and your party safe. If you are boating, hunting, climbing, fishing or hiking, you need to know how to tie a safe, secure knot. Anyone who works with rope will know that even the toughest rope is only as strong as its weakest knot. 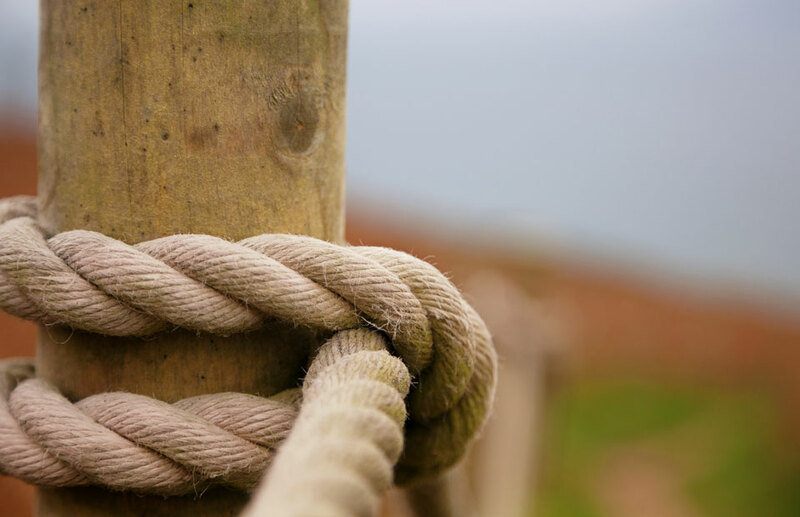 The two most important factors when using rope are knowing how to tie knots correctly and being able to discern which knot is best for the task at hand. There are thousands of different knots, but here are eight of the most essential to get you started. Committing these knots to memory can help you get by in most situations. 1. 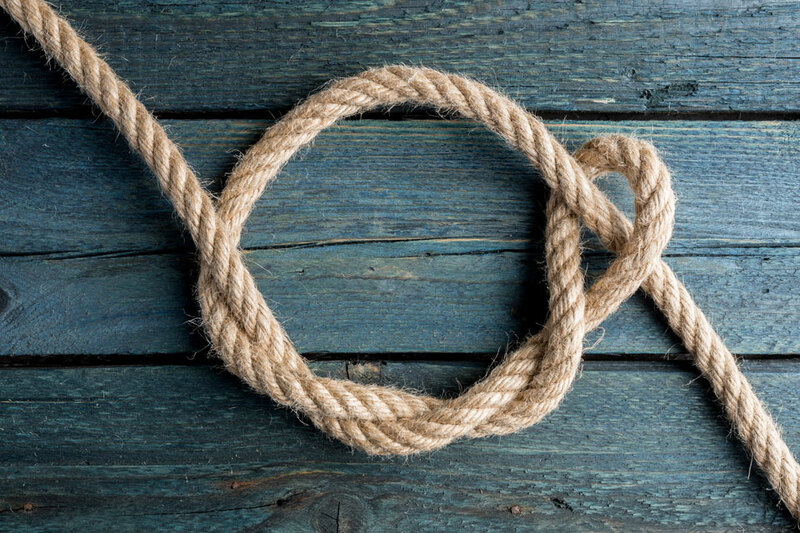 Square Knot—Sailors traditionally used this knot for reefing sails. This knot can connect two ropes of the same diameter. To tie a square knot, tie two basic overhand knots. The first will be right-over-left and the second left-over-right. To check that you have done it correctly, ensure the two ends of each rope exit in the same direction. 2. Sheet Bend—The sheet bend is the knot of choice for joining two ropes together. It can join ropes of different thicknesses and permits the use of smooth ropes, which tend to come undone easily when used with other knots. Start by bending the thicker rope into the shape of a “J.” Pass the thinner rope through the middle of the bend from behind and then wrap it around the thicker rope and tuck the loose end of the thinner rope underneath itself. 3. Clove Hitch—The clove hitch is a basic knot you can use to attach a rope to a post or a tree. It is easy to tie and untie, but you need to keep tension on the knot to prevent it from slipping. Wrap the end of the rope completely around the post. Cross the rope over itself and then wrap around the post a second time. Slip the end under the second wrap and pull tight. 4. Half Hitch—Many rope users avoid the half hitch as they don’t consider it to be safe. However, it is safer when you use two half hitches together. Alternatively, you can use one half hitch to support other knots. 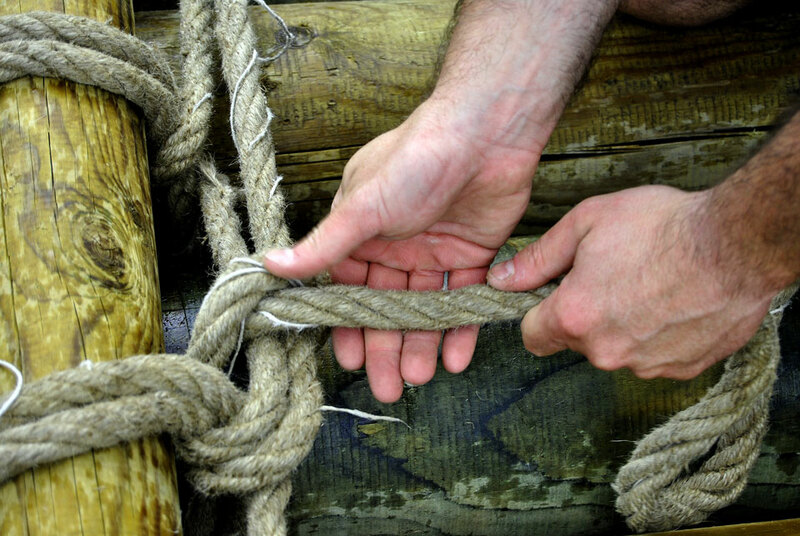 A basic half hitch involves taking the rope around an object and looping the end of the rope around itself. Create two half hitches by looping the end of the rope around twice and tucking the loose end of the rope in between the two loops. 5. Timber Hitch—This hitch is ideal for when you need to drag a log or any other long object. It is also known as the “bowyer’s knot” because longbow makers use it to secure the string. It is secure and won’t slip under a heavy load. Wrap the rope around the log and wrap the working end around the standing end. Then, tuck the working end back around the loop three times and pull it tight. You can also add two half hitches for additional security and to prevent the log twisting. 6. The Prusik Knot—The prusik knot allows you to attach a loop of rope to another rope, even when the ends aren’t free. It is a good knot for climbing, as it slides along the rope but tightens under tension. Start by making a loop in the rope you wish to attach. Tie the end of the loop with a square knot, wrap the loop around the main rope three times and then tuck it back through itself. Make sure all the turns of the rope are adjacent to each other. 7. Bowline—The bowline is excellent for creating a fixed-sized loop at the end of a rope. It won’t move or loosen easily. Be aware that you won’t be able to untie this knot when the rope is under tension, so it isn’t going to suit all situations. Create a small loop in the rope where you want the new main loop to be. Take the working end of the rope through this small loop and then around the main line. Now place the end back through the small loop. 8. Alpine Butterfly Loop—The butterfly knot is a fixed loop knot which attaches to the middle of a length of rope. It can support weight in all three directions and can be very useful to isolate a damaged section of rope. Create a figure-of-eight in the rope. Take the top loop and fold it down past the bottom loop. Now, tuck it back up and through the lower loop of the figure-of-eight. Pull the loop to tighten. These eight knots are just the beginning. There are thousands of different knots currently on record and there may also be many more that we are yet to discover. Search for knots that apply to the kind of outdoor pursuits you enjoy. For instance, anglers should take a look at these specialty knots for fishing. Knowing a wide range of knots can be of huge benefit to any outdoorsman, so it may well be worth studying the subject further. One thing we all do as archers is aim. Some do this differently than others, but to shoot with any consistency we must incorporate some form of aiming into our shot. Several factors, including breathing, heart rate and focus, affect aiming. 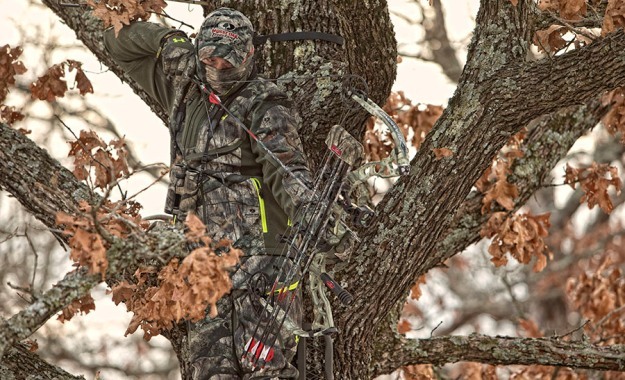 Mossy Oak's Dudley Phelps offers 6 tips for being safe and secure when hanging a tree stand or hunting from a tree stand.